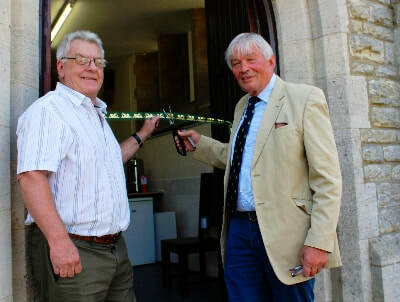 15th of July 2018 Ringstead Heritage Centre was opened by John Horrell (of Dodson & Horrell ltd) a project which had been in the pipeline some 4 years previously and was used as Ringstead cemetery Chapel. 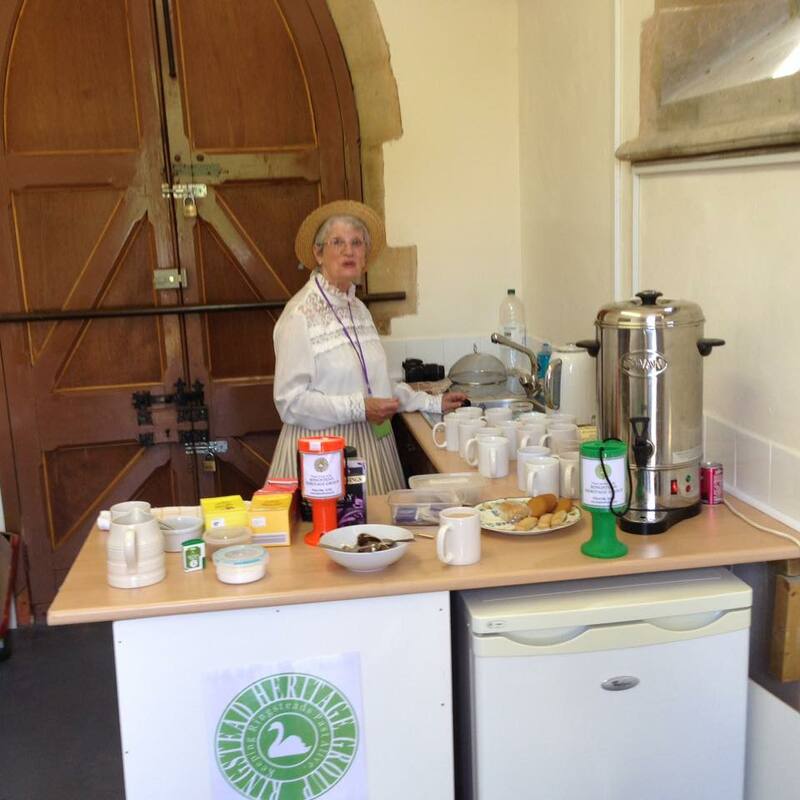 The Heritage group had started in 2014 but thoughts about starting a group came a year before and the big difficulty was finding a building to use in the village. 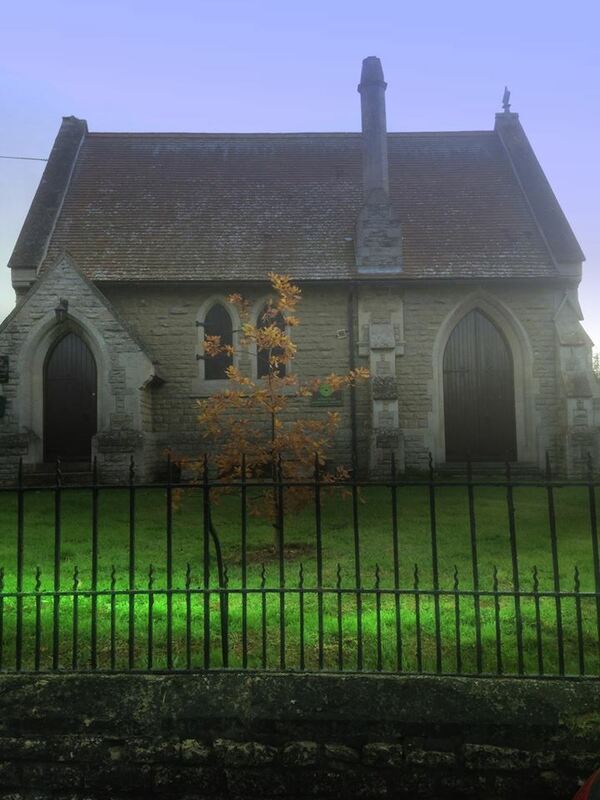 Abbott's funeral directors gave in their lease to the parish council in March 2018 which then we stepped in and took the offer from the parish council to take the building over. When we were given the keys the building was in quite a mess and the first thing to do was to take out the cooling room and dismantled it completely and then gave the building a good make over.Lots of hard work, i can vouch for that. We then added artifacts and images which many had been donated by local villagers and the rest,is history. ​The center is entirely dependent on public funds so if you ever visit its completely free to enter but a few pennies in the jar would be most grateful. 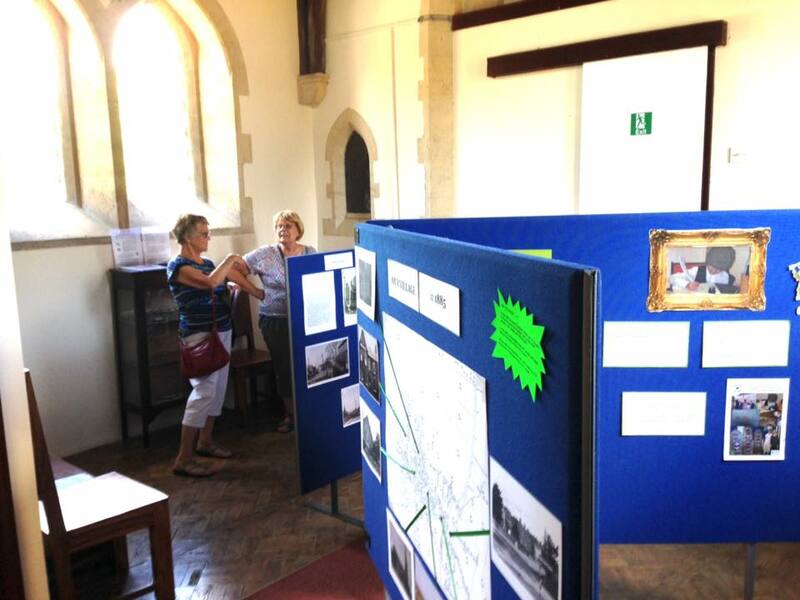 We can even offer you a cup of tea or coffee whilst you cast your eyes over Ringstead history. ​I think i can vouch for group by saying that we are very proud of what we have achieved bringing history alive for you to view. -Jon. 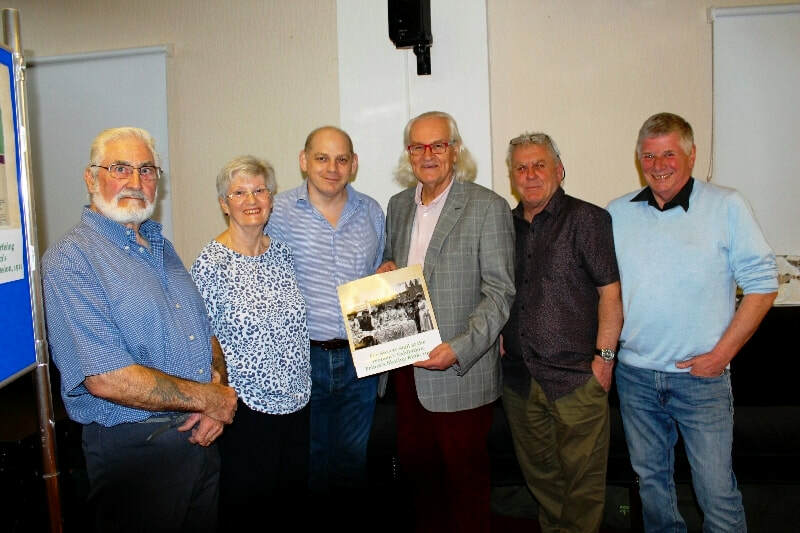 ​The group consist of Roger Kinsey-Bob & Jane Linnett-Guy Slack-Simon Conway and Jon Abbott. 2nd image shows John Horrell on the right opening the centre, myself holding the ribbon. The first story is all about how the Chapel came to be. The people of Ringstead are in the awkward predicament of having no place to bury their dead, and have not had one since the end of April – a state of things which has led to considerable talk, not to say scandal, saying that in the event of any of the inhabitants dying, the bodies have to be taken for internment to the neighbouring village of Denford, a mile away, not only to the inconvenience of the relatives of the deceased, but at considerably increased expense to them. At the present time there are two persons lying dead in the place, and their burial must needs be at Denford, owing to the churchyard being closed, and no cemetery as yet ready. Why no new burying-ground has not been provided before now, and this apparently avoidable predicament averted, is a matter of controversy, blame being cast both on the Church officials and the local Sanitary Committee; but, as far as our representative could gather, there is little, if any, room to charge the committee with neglect of duty, they having, it would seem, done all they could to expedite matters as soon as they came under their purview. Blame, however, must be put upon someone, as more than twelve months have elapsed since it was known that the churchyard would within a certain period have to be closed, and during that time suitable provision for a burial place might have to be made. As late as March last year Dr Hoffman visited the churchyard, on a complaint to the Home Office as to its crowded condition, and that gentleman then intimated that he should recommend it being closed; but it is somewhat singular that it was not until August that a Vestry meeting was called to consider what steps should be taken to provide a new ground. A cemetery was then decided upon, but under what authority it should be provided there was a division of opinion, the Church people favouring a Burial Board, with, as was generally believed, consecration of the cemetery, but others wanted the Sanitary Authority to provide the place; and on a poll of the parish being taken, the latter proposal was carried. Since then the matter has been in the hands of the Rural Sanitary Authority and the local Parochial Committee, who, after considerable difficulty in selecting a suitable site, fixed on a piece of ground, which has recently been approved by Dr Hoffman. To buy this and prepare it for cemetery will cost something over £700, and, application having been made to the Local Government Board for sanction to borrow £750, that body sent Mr Frederick Herbert Tulloch down to Ringstead on Wednesday to hold an enquiry. 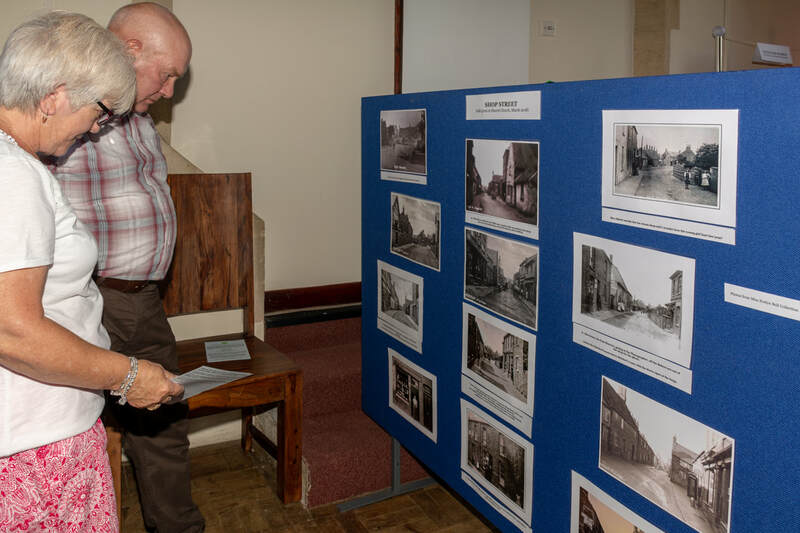 This was held in the Temperance Hall, and was attended by a large number of parishioners, who displayed the greatest interest in the proceedings. The vicar (the Rev W O Leadbitter) was present, as were also Messrs. J Perry, Joseph Rowlett, Joseph Smith, George Smith, Benjamin Roberts, and Walter Sawford (members of the Parochial Sanitary Committee) Mr Gerald Hunnybun (Clerk to the Thrapston Rural Sanitary Authority), Mr H Capron (Southwick, son of the owner of the selected site), Messrs. C Ratcliffe, R Whyman, P L Kitchin, R Childs, William Roberts, John Agutter, T A Major, D Warren, T Phillips, C Wyman, S Wilson, Lot Weekley, John Roberts, J T Knight, W Cottingham, J Bull, George Smith senior, John Cottingham, T Sawford etc. - In opening the proceedings , Mr Hunnybun gave the Inspector full particulars of the events that had led up to the enquiry, showing that the definite order for closing the churchyard on 30 August try again on 30 April of this year was received from the Home Office in October of last year. At the request of the Vestry, the Sanitary Authority took up the question of providing a new burial ground, and they relegated the selection of a site to the local committee, who had fixed upon a piece of land, which had been approved by the Home Office, some two or three hundred yards from the village. As to the need that existed for a cemetery, Mr Hunnybun quoted from a letter that the vicar had sent to the Home Office, stating that human remains had been found close to the church door, that on one occasion the sextont, on digging a fresh grave, turned up a skull with hair upon it, which was identified, and that coffins had to be disturbed whenever a fresh interment took place. Proceeding, Mr Hunnybun showed that the estimated cost of the land (about an acre), Chapel, etc., was £725, and it was proposed to lay out sufficient ground for 833 interments, which, the Vicar interpolated, would, at the average rate of interments for the past ten ot twenty years, suffice for the parish for 49 years without re-burying. Mr Hunnybun also urged upon the Inspector the necessity of expediting the matter, owing to the closing of the churchyard, and the fact that bodies now had to be removed the Denford for internment. The Authority were now only waiting the approval of the Local Government Board to the scheme, and they would soon have the ground ready for burials. The Inspector having asked if there was any opposition to the scheme, Mr Capron, whilst not offering any general opposition, expressed the opinion that the chapel (which was to cost £400) was unnecessary, as the church and other places of worship were within a few hundred yards of the ground, and might be used, as heretofore. - Mr B Roberts, however, said a coffin could not conveniently be taken into the Wesleyan Chapel. - Mr Leadbitter did not oppose, but, in the face of the statement by the Inspector-General that half an acre was sufficient for 1,000 people, did not see why they should have another half acre. He remarked this chiefly because the matter was urgent, the dead having to be taken to Denford for interment, whilst he heard of burials taking place in a disused burying ground in the parish at an early hour in the morning; and it would take twice as long to fence an acre of land as it would half an acre. He would not oppose if he got an an assurance from the Inspector that he would not insist upon a wall fencing. - The Inspector having intimated that a rail fencing would be sufficient, Mr Leadbitter expressed himself satisfied, and said his only object was to expedite matters. He also spoke in favour of having a chapel built. - After some discussion, a show of hands was taken as to whether a chapel should be provided or not, when 45 voted for, and only three against. 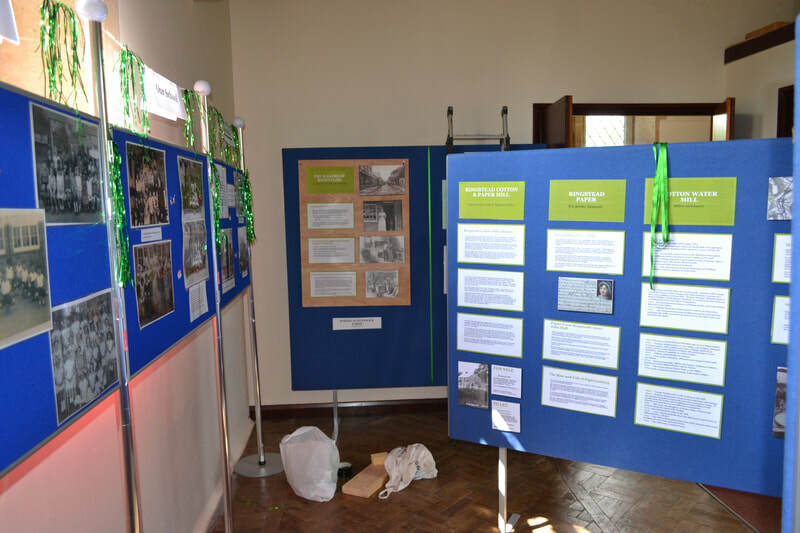 Below are a few images to show you how it looks inside, when you first enter you you will cast your eyes on the timeline of history of the village..